Keeping your inbox clutter-free during a hectic workday can be nearly impossible. Whether it’s an overload of customer invoices, annoying spam attacks, or bantering from your staff, important emails can quickly get buried, never to be found again. Prevent yourself from missing vital email updates by using these tips to keep your inbox tidy and organized. Keep messages from overwhelming by separating them into different folders. Create several large categories, such as “Customers” or “Vendors.” From there, create subdivisions inside this hierarchy that better describe what the communication is about, such as “Customer Service” or “Billing.” That way, you instantly find the emails you are looking for without combing through your entire inbox. Once you have this system set up, use an automatic filter to direct messages into these folders as soon as you receive them. You can classify these filters to work according to the sender’s email address or even the contents of the subject or message, making it easy to get emails in the right place. It’s inevitable – you’re always going to get a lot of spam. Instead of letting these things accumulate, delete them upon receipt. Generally, if an email has been sitting in your inbox for at least 30 days and it’s not something vital like a bill or contract, you can delete it. It’s a good idea to go on an email purge at least once a month, cleaning out folders and trashing anything unnecessary. You know how it goes – you see an important email come in, take a moment to think about how to respond, and then are suddenly pulled away from your desk for a more urgent matter. By the time you get back, that email is buried under five new emails. This deadly cycle repeats itself all day until your inbox is filled with high priority messages that need an urgent reply. Stop this from happening by making it a point to respond to messages as you receive them. Though the message might come off more articulate if you took five minutes to develop your thoughts, in the end, it’s more important to get out a quick reply. Hold yourself and your team accountable by setting inbox goals. As you’re building your brand reputation, setting these goals will help you create a consistent experience for your customers, vendors, and employees. Work with your team to set a reasonable time emails should be responded to. If your work is done heavily in the inbox, inbox goals will keep everyone on track with a strong reputation for good communication. If all of this seems like too much work, you could always use a sales and marketing tool. Software like this makes it easy to keep prospects together as well as maintain organized communication with customers. Sales conversations can be stored in one place where you can track your relationship and add notes about the conversation. 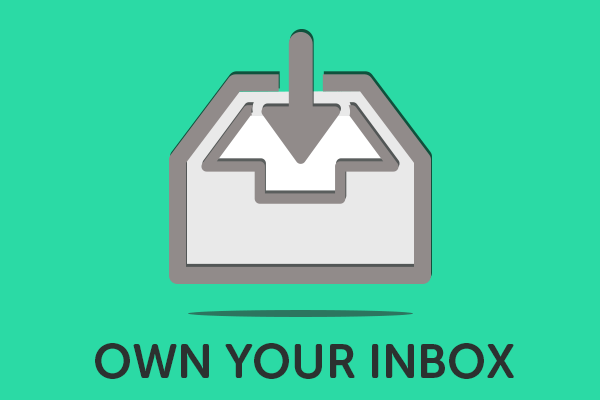 You will also be able to set up automatic follow-up emails to kick off your sales process. As your business expands, a tool like this will keep you ahead of the game and enable you to satisfy your customer demand. Without the proper organization, your email inbox can look like a hoarder’s living room. Never miss an important email again by using these tips to keep your messages clean and tidy. You Need Millennials. Here’s How to Attract, Hire and Keep Them Happy.